The Yankees have reconstructed Murders’ row as their lineup features the National League and American League home run leaders from a year ago. The rest of the supporting cast is no slouch either, and many experts have the Yankees setting the new major league home run record. With that established, it is no secret that the long ball will be the Yankees blueprint to success in the season’s early going. 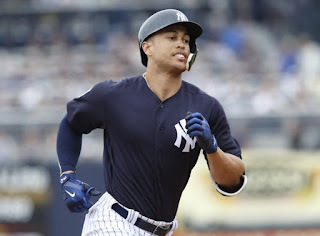 However, I believe neither of the Yankees’ mammoth sluggers, Giancarlo Stanton and Aaron Judge, will be the team leader in home runs when the calendar flips to May. I am not saying, by any means that they won’t hit their fair share of home runs, but I think a certain Kraken will go overlooked by opposing pitchers and reap the benefits. With pitchers so focused on Judge and Stanton, Sanchez will be able to get better pitches to hit and disappear under the radar, only to reappear as he circles the bases. One of the most prolific storylines in 2017 was how hot of a start the Yankees got off to. Aaron Judge was hitting a home a run just about every game, Chase Headley and Jacoby Ellsbury were off to miraculous starts, and the pitching staff accumulated a 3.35 ERA, the lowest of any month that season. This all resulted in a 15-8 record and made them the early Cinderella story in baseball. Most shockingly of all, the Yankees accomplished this without the likes of Didi Gregorius, Gary Sanchez, and any statistical contributions from Greg Bird. Despite the weight on their shoulders of astronomical expectations, I believe the Yankees perform even better in March/April 2018 than April 2017. Their bullpen is far improved than the one they trotted out to start last season and the team is healthy with solid players. For a team that has accomplished so much in the last twenty years, the Yankees have been slacking in the no-hitter column. The Yankees threw two perfect games in two years in 1998 and 1999 respectively, but have not recorded a no-hitter nor a perfect game since. Since David Cone recorded the last out in his masterful performance in 1999, 49 games without a hit have been recorded, none of which have been by a Yankee pitcher. The Yankees have a strong tandem of starters who, when on, have no-hit stuff. I am thinking that Luis Severino, Sonny Gray, and Masahiro Tanaka are the three most likely candidates. The Yankees have a handful of games against very weak offenses in the first month of the season. They play a “revamped” Tampa Bay team twice, an even more “revamped” Miami Marlins team twice, and a rebuilding Tigers team thrice. Anything can happen on any given night, but if the Yankees offense is able to attack opposing teams early and get them mentally “checked out” of the game, baseball history could be made from the rubber. The signing of Neil Walker made Tyler Wade’s situation a little cloudy, however, the Yankees reassured everyone that they believed in Wade’s talent and versatility and think that he will be an integral part of their success in 2018. While Walker will man the position on occasions, Wade appears to be the guy that will be tasked with taking over for Starlin Castro in 2018. Wade has displayed a great bat on ball ability in spring training after a dismal .155 showing in his first season of major league action. Wade hit .310 last season in Triple-A, and after an offseason of working on his approach and swing with Albert Pujols, Wade appears primed for a breakout. Boone will have the ability to mix and match his lineups due to the versatility of many of the players on the roster. As a result, Wade should be able to receive a solid number of at-bats in optimal matchups. Sure, this is not necessarily a Yankees’ prediction, however, this prediction will come in a game against the Yankees. The first opportunity for the Yankees to face the Japanese dual threat that they coveted this past offseason is during the Yankees' first trip to Anaheim on the dates of April 27-29. 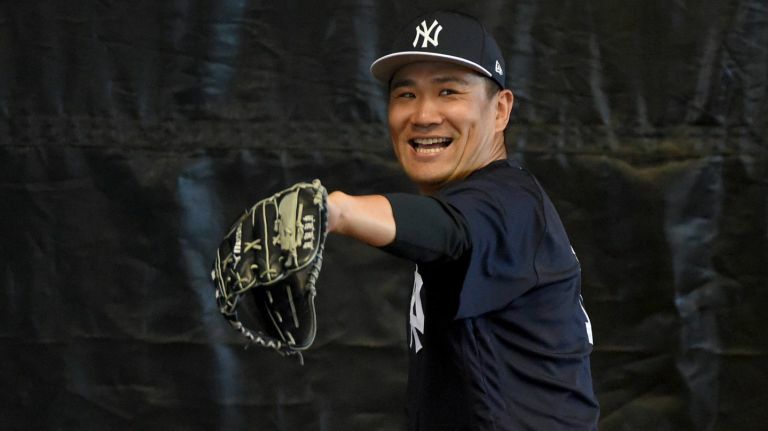 While it is still not a guarantee the Yankees even get to face Ohtani during this series, if they do, I predict that the once labeled “future Yankee” has his worst start up to that point in the season. Ohtani has been very susceptible to the long ball, so far in his limited MLB action, so his first outing against the majors’ top home run hitting team may be a rude awakening.